I chose just one fabric on wich to base the clothes for this new collection: boiled whool; soft, precious, pure whool that is a natural white, not dyed. 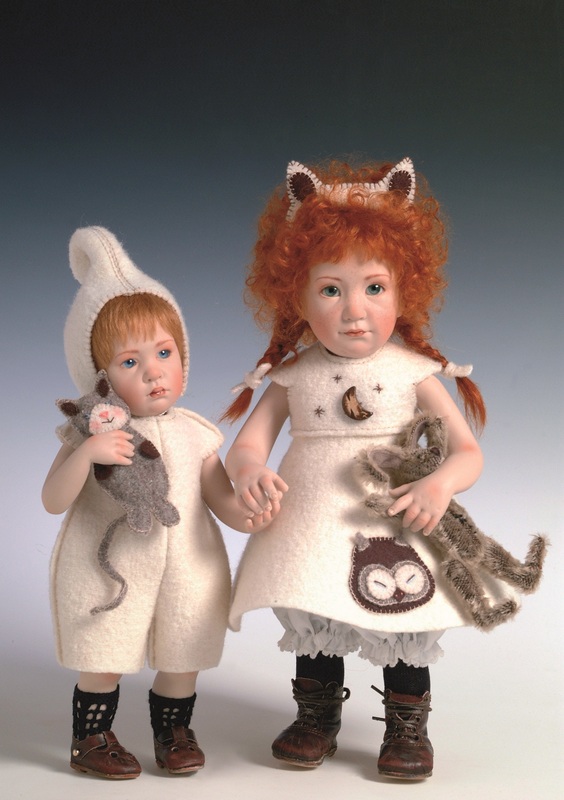 Each outfit has been specially designed to enhance the character of each of the different dolls. The finishing touches embellish the handmade clothes, and the accessories and appliqués are all cut, sewn and embroidered entirely by hand too. The leather shoes are tailor-made and are carefully treated, scuffed and dirtied just as real children shoes are. The eyes are specially made of blown glass by a craftsman in Lauscha, a german town that has been famous for centuries for producing glass eyes. The wigs are crafted entirely by hand, using pure whool mohair or real hair. I took part in sculpture and anatomy lessons with great entusiasm when I was in Art School and at Academy of Fine Arts. I tried to create, in clay, all the things my eyes could see and everything my hand could draw. Each year, I placed the drawing papers in front of me, ready to be filled with sketches, while I gazed at my wall full of photographs full of children. And every year, the moment always comes when I feel ready to let my soul guide me while I shape the clay. I can think of nothing else while I am working, there are no market rules for me, or any advice; I always try to be 100% myself. I love shaping clay because others did it a thousend yoears ago, and clay gives a result like no other material can. I love working with porcelain, The Material, the most noble material, the one that lasts the longest, and the most difficult to work with. I love designing and creating clothes, and planning accessories admist the colors of the fabrics, I love feeling that someone is helping me with entusiasm, and i love showing my dolls to those who appreciate them. 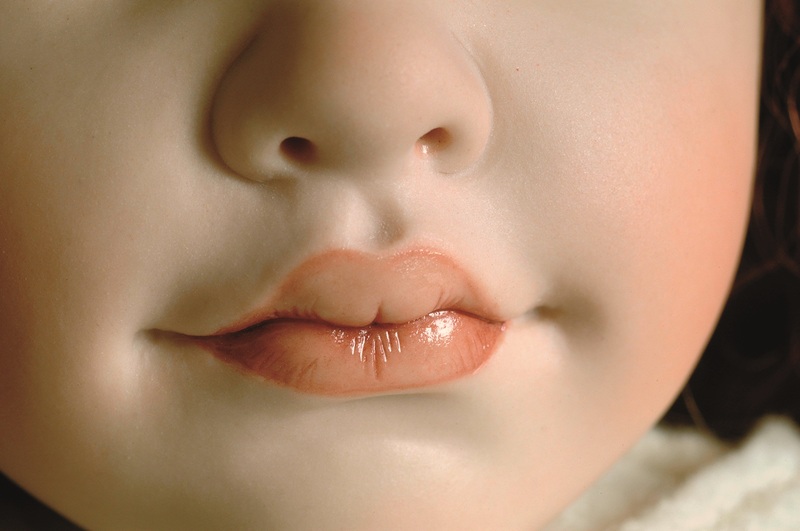 I love changing my dolls expressions every time; for me, sculpture is life that is renewed time after time. It all starts from a piece of clay, from a cutout photo, and from the Good Lord who has given us earth, water and Kaolin. All this is created to brighten a moment or to bring joy to a heart. 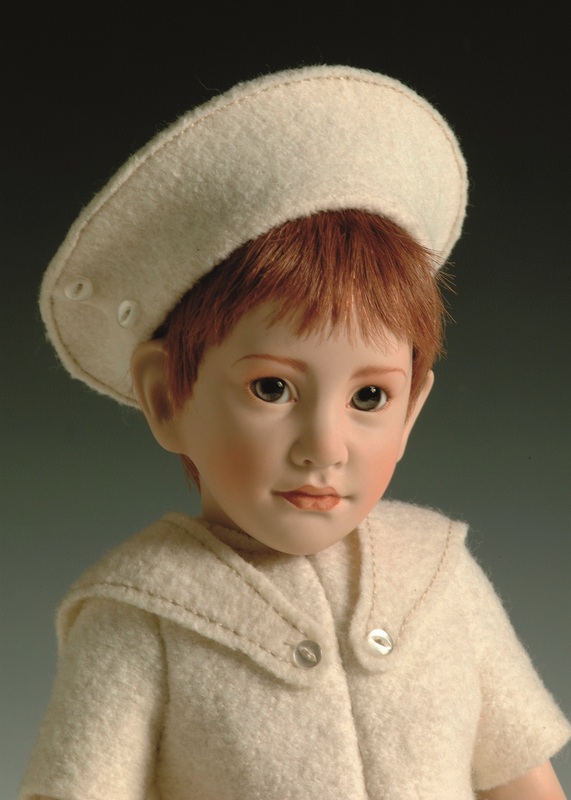 This handsome boy is made in all bisque, with a fully jointed body and a chestnut hand-made human hair wig. His light grey glass eyes were specially hand-made for him in Lauscha (Germany). He wears a special outfit made in “boiled wool”. His leather boots are carefully treated, scuffed and dirtied just as a real children’s shoes are. 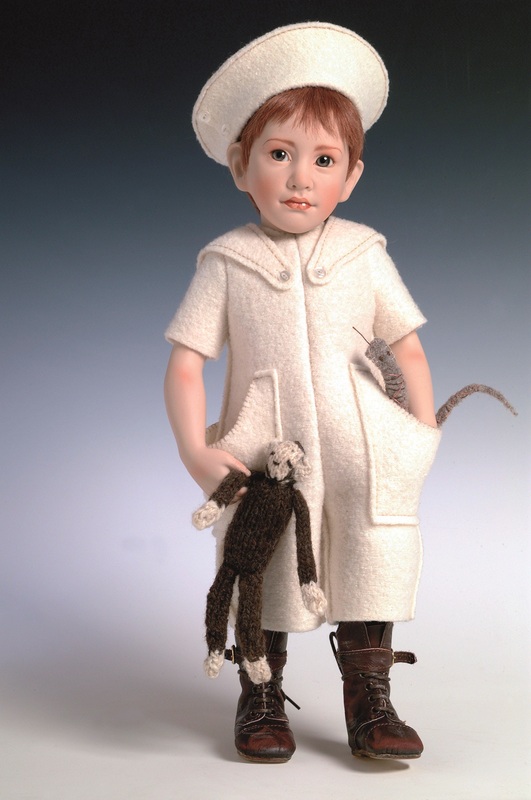 Amerigo holds a hand-knitted monkey and a handmade wool snake. This boy doll is completed by a brass plate on wooden base stand. 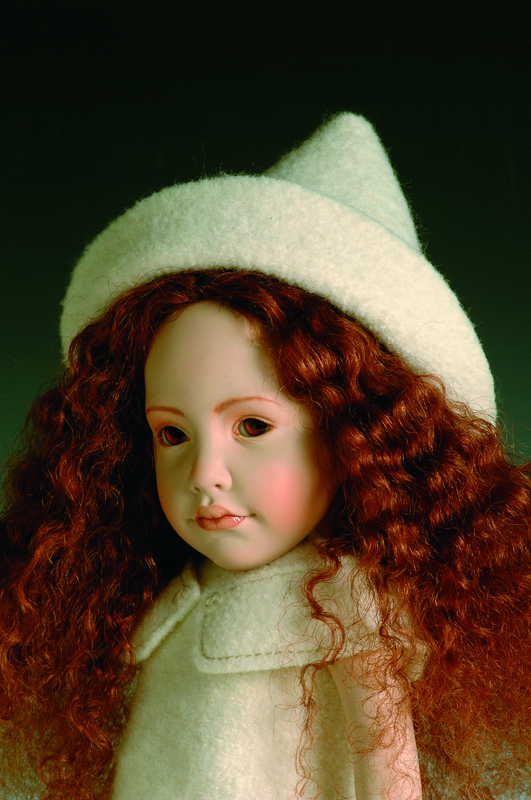 This beautiful young girl is made in all bisque, fully jointed body and a very long curly human hair wig. Her light brown glass eyes were specially handmade for her in Lauscha (Germany) . 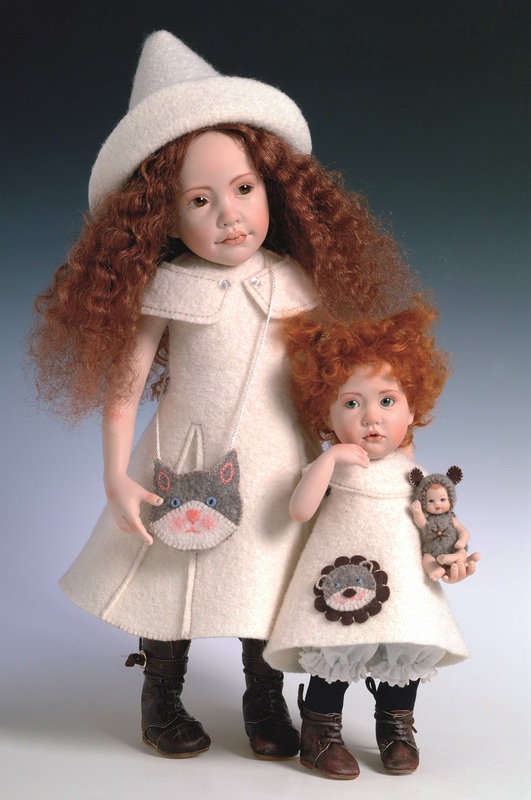 She wears a special outfit made in “boiled wool” completed by a handmade little bag made as a cute cat face. Her leather boots are carefully treated as well are the Amerigo’s shoes. She is completed by a brass plate on wooden base stand. 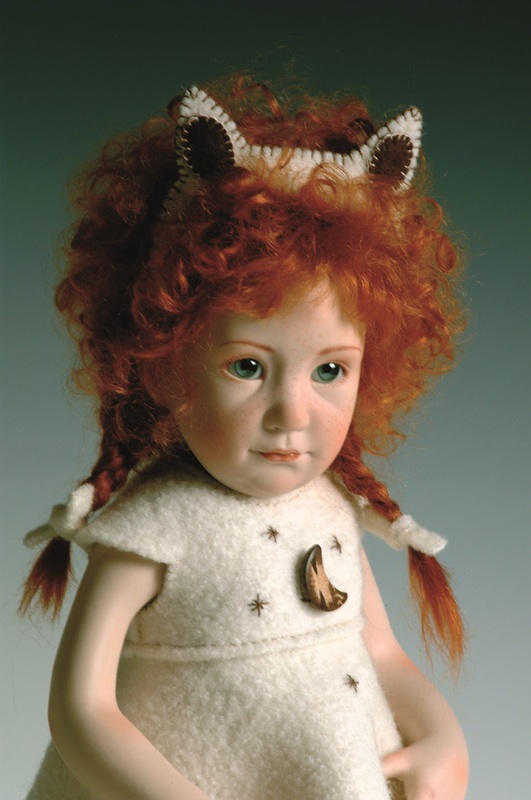 This sweet freckled child is made in all bisque, with a fully jointed body and a handmade red curly mohair wig. Her gray-green glass eyes were especially handmade in Lauscha (Germany). She wears a special outfit made in boiled wool completed by trimmings embroidered entirely by hand. Her leather boots are carefully treated just as a real children’s shoes are. Teresa comes together with a jointed mohair rabbit and completed by a brass plate on wooden base stand. 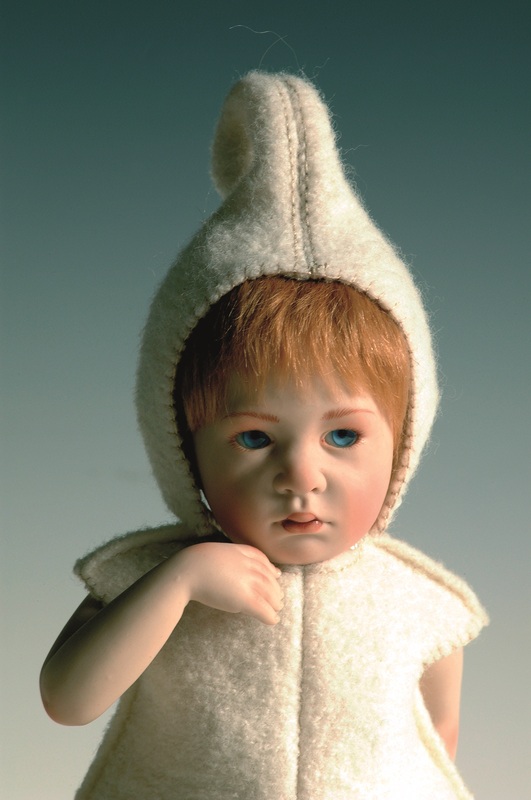 This sweet little pouty toddler is made in all bisque with a fully jointed body and a handmade red-blonde mohair wig. His light blue glass eyes were especially handmade in Lauscha (Germany). He wears a special outfit made in boiled wool completed by a cute puppet cat entirely made by hand. His leather shoes are carefully treated, scuffed and dirtied just as his nearest friends. Tonino is completed by a brass plate on wooden base stand. 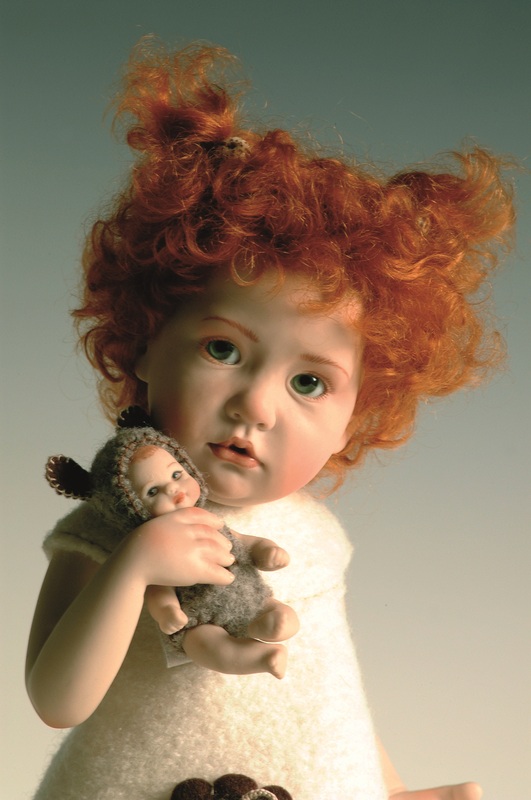 This pensive little toddler is made in all bisque with a fully jointed body and a handmade red curly mohair wig. Her green glass eyes were especially handmade in Lauscha (Germany). She wears a special outfit made in boiled wool completed by trimmings embroidered entirely by hand. 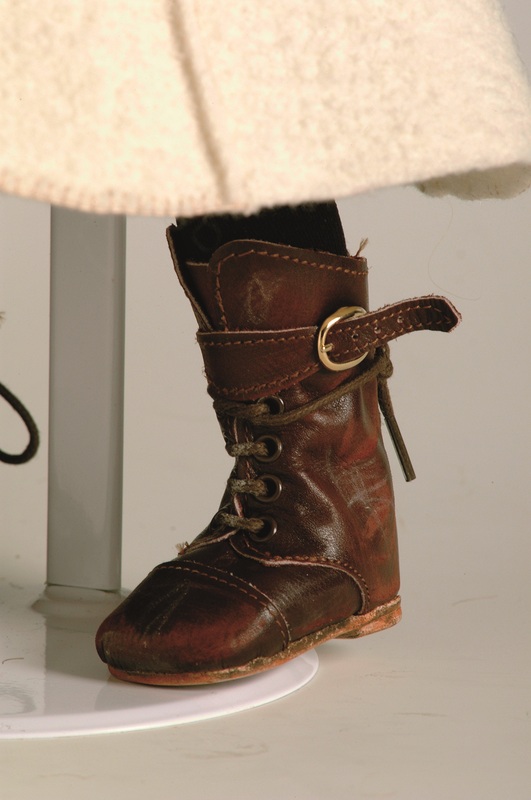 Her leather little boots are carefully treated just as a real children’s shoes are. 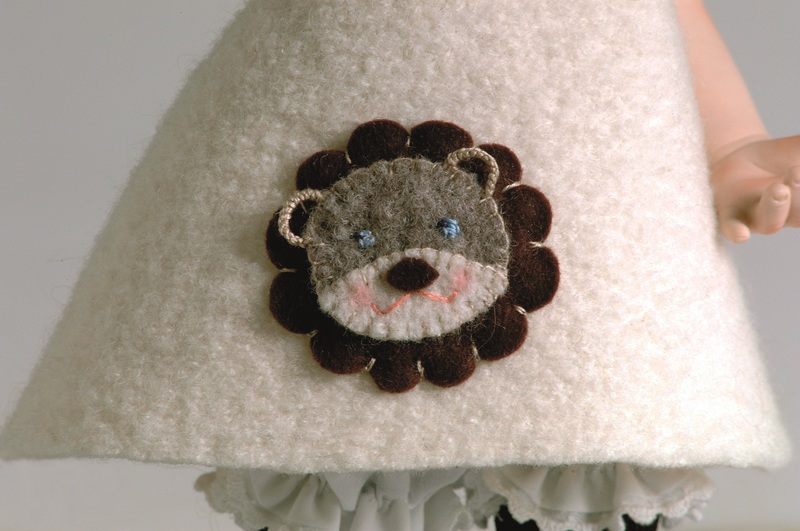 Nenella will came with a cute miniature bisque doll dressed as a bear. She’s completed by a bras plate on wooden base stand.